What was the last bestseller in your genre that hasn’t been made into a movie? What books have the same or similar titles as your manuscript’s title? What other books share the same story structure, even if they don’t share the same genre? You don’t know! You are running to Google, Amazon, or Wikipedia for help. Well, like most aspiring authors, you don’t know comp! Comp = Comparable titles. Other books that are similar to your story in structure, genre, situation, title or any number of other ways. Let me be clear, Comps are BOOKS. Not movies, not TV shows, not websites or art installations or lyrics from your favorite band. BOOKS. Don’t feel bad. I didn’t know Comp either. I am still learning too, but let me share a few tips about how to get to know your Comps. I’ll also share a little bit of how I arrived at my Comps for Rebirth Interrupted in Italics below. So where do I look? Good question young bibliophile. Start in your genre, and better yet your subgenre. Are you writing a Historical Romance set on a pirate ship? How about a cozy mystery featuring a pet as a detective? Try typing those categories into Amazon books to see what comes up. (Seriously try the ‘cozy mystery cat as detective’ search, it is a robust category. Who knew!). You should start to build a list of titles that have similar features. 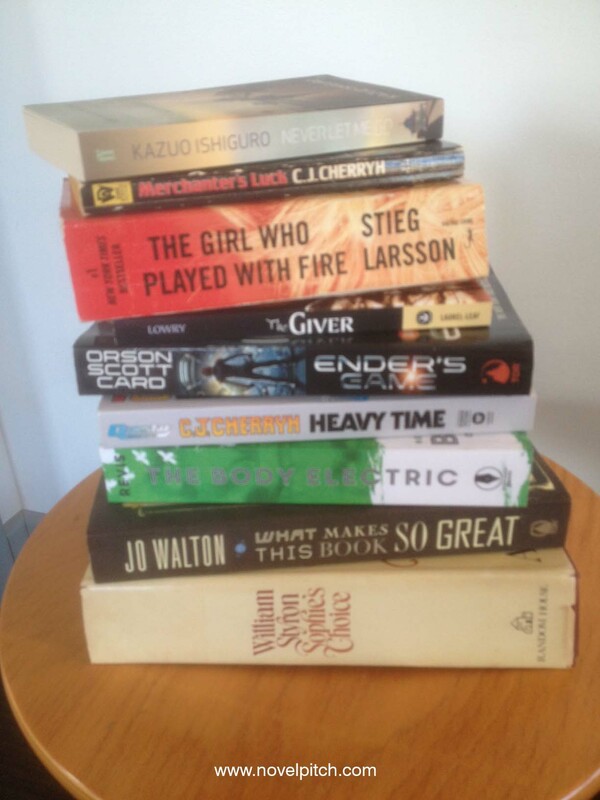 My first list of Comps was made up of Science Fiction books about mining asteroids. C.J. Cherryh’ Heavy Time was the first solid title I landed on, but it was decades old and not well known. Once you have a list of 5-10 titles based on your subgenre do a second search. This time search based on title. Use each of the titles that you have considered for your manuscript and see what you get. Chances are you will find books that are outside of your genre that deal in similar subjects. When I was preparing for my first writer’s conference I did a search on my old working title, Husk. I found a slew of dystopian novels, a bunch of zombie books a few odd comics and three nonfiction titles on corn. In the end the title changed, but I learned a lot about what my book might sit next to on the shelf. Ok. Now you should have a list of 10+ books that may or may not be appropriate comparisons. Finally you should reach out to people who know about your manuscript and ask them what their book reminds you of. As I’ve been working on my own Comp list I was surprised, and frankly delighted, by some of the responses I got to that question. Friends in publishing have compared my Adult Science Fiction novel to everything from The Girl With the Dragon Tattoo series to Sophie’s Choice, neither of which are in my genre but both of which are excellent Comps. Another writer friend pointed me to The Body Electric by Beth Revis, which was so spot on it was scary. With the long list in hand from your research you might feel like you are still missing something. There isn’t a bestseller on this list. You forgot your genre’s blockbuster title! Oh and wait. There was that movie that came out that is similar too. Put these back on your list, not as Comps that you will use in a pitch, but as books and movies that you need to be familiar with. Make sure they are at the bottom of the list. I had the movie The Island on my Comp list from the beginning. When I searched IMDB to find out if it was based on a book I came across a few reviews. One article I came across had a reference to Kazou Ishiguro’s Never Let Me Go which I hadn’t read yet. That research set my reading list off in a totally new direction. You don’t know COMP! – Part 2 Coming Soon. Great post. I’m in the middle of reading a third comp now-very helpful!